Angels appear in the Bible from the beginning to the end, from the Book of Genesis to the Book of Revelation. 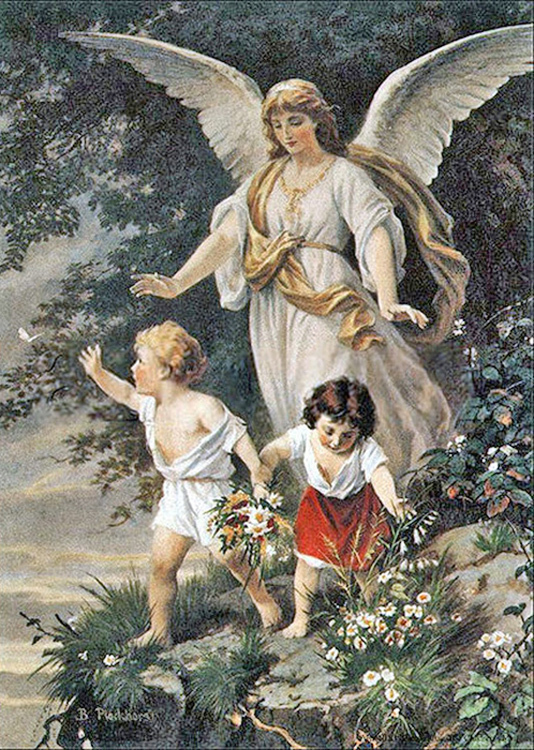 The Bible is our best source of knowledge about angels - for example, Psalm 91:11, Matthew 18:10 and Acts 12:15 indicate humans have guardian angels. 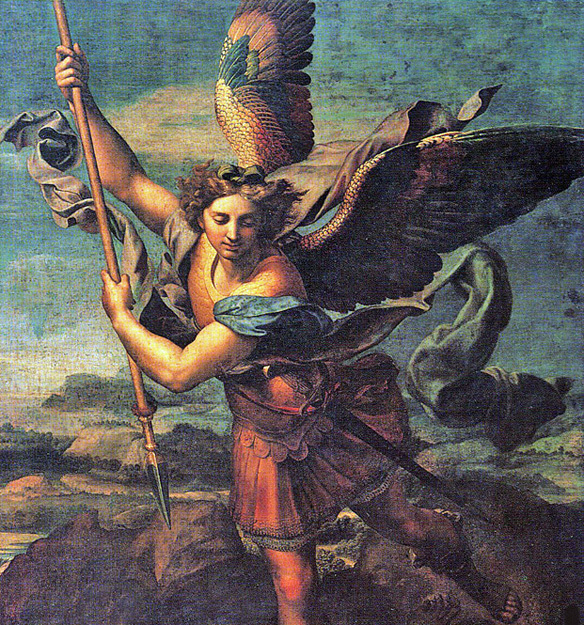 The Greek word ἄγγελος or "angelos" means messenger or angel. Angels are purely spiritual beings that do God's will (Psalm 103:20, Matthew 26:53). God stationed cherubim to protect the Garden of Eden after the fall of Adam and Eve in Genesis 3:24. An angel of the Lord appeared to Moses in Exodus 3:2 to lead the Israelites from captivity in Egypt to the Promised Land. God sent an angel to punish King David and the Israelites, but stopped the angel from destroying Jerusalem after King David repented and offered sacrifice to the Lord in 2 Samuel 24. 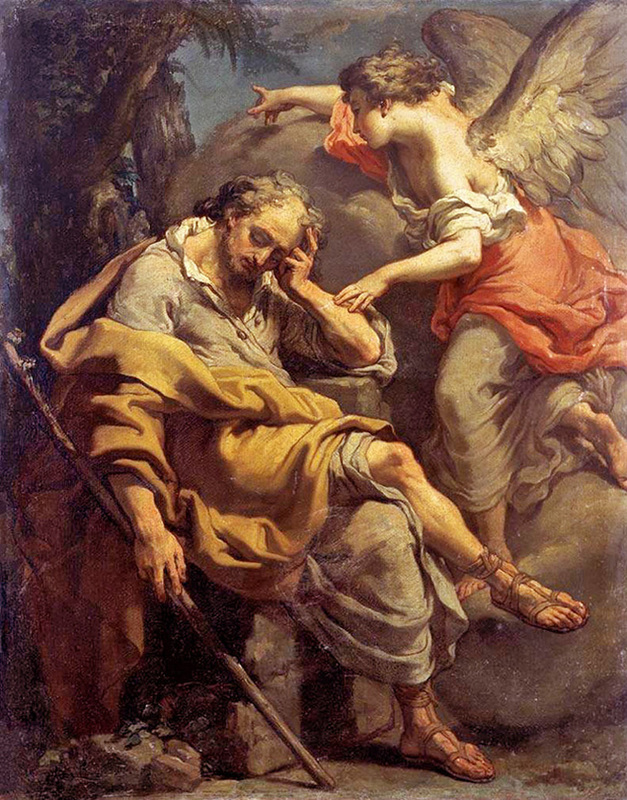 When Elijah fled Jezebel after his triumph on Mount Carmel, an angel brought him food, giving him strength to meet the Lord on Mount Horeb in 1 Kings 19. An angel restored the high priest Joshua in Zechariah 3. 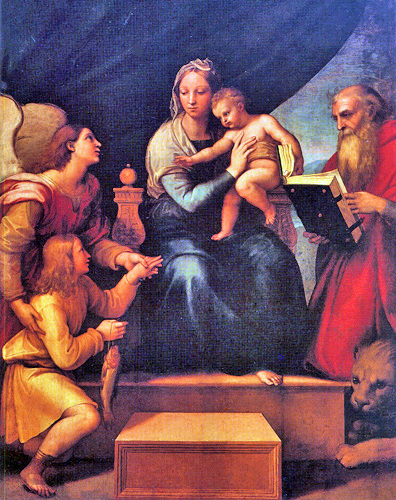 Sometimes angels take human form, as seen in the men who appeared to Abraham and Lot in Genesis 18-19, or Raphael who appeared in human form to Tobias. 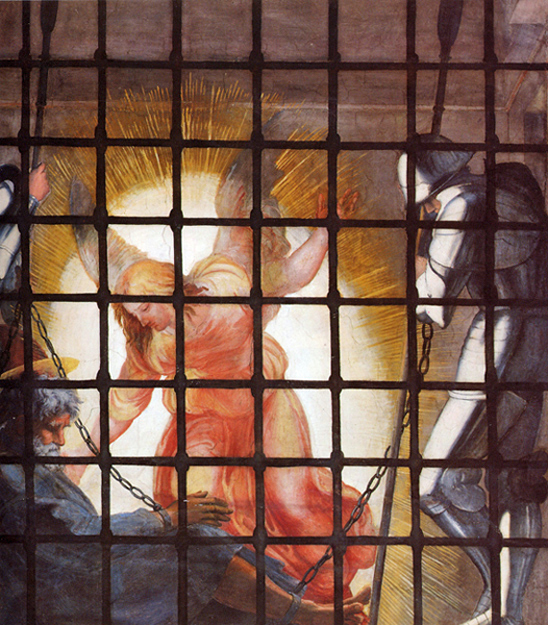 Michael as one of the leading angels is considered "Prince" of the heavenly hosts, and appears three times in the Book of Daniel (10:13, 10:21, and 12:1). He is the only one in the Bible referred to as an Archangel (Jude 1:9), and serves a major role in Chapter 12 of the Book of Revelation. 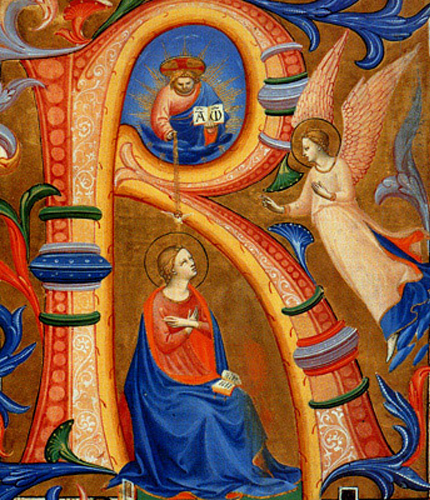 The angel Gabriel first appears twice to Daniel (Daniel 8:16 and 9:21), but is best known for the Annunciation to Mary that she would be the Mother of Jesus, the Son of God (Luke 1:26-38). 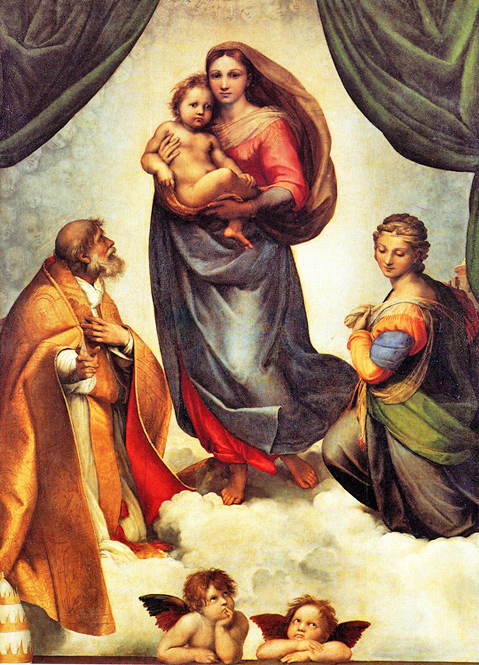 The Book of Tobias (Tobit) 12:15 names Raphael as "one of the seven who stand before the Lord." Revelation 8:2 also refers to the seven angels who stand before the Lord. The seven are Michael, Gabriel, and Raphael, the three named in the Bible, and Raguel, Remiel, Saraqael, and Uriel, named in Enoch 20:1-8, a book found in the Dead Sea Scrolls and in the Bible of the Oriental Orthodox Church of Ethiopia. Thomas Aquinas was a great medieval theologian, and is known as the "Angelic Doctor" for his extensive writings on angels in his Summa Theologica. 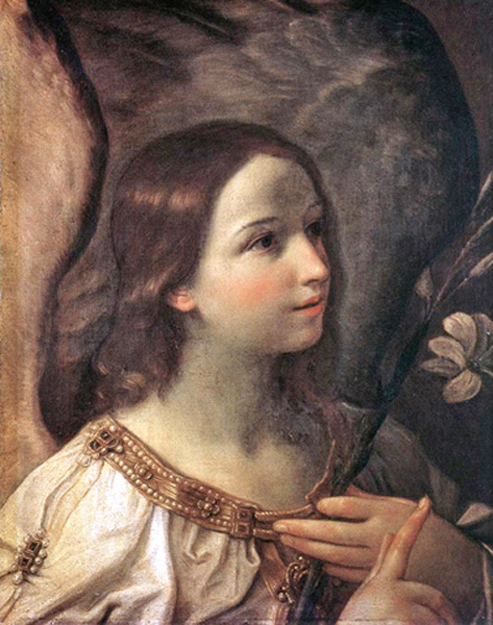 Thomas Aquinas believed that angels, being spiritual beings, influence mankind by illuminating one's mind with an idea. Quoting Scripture, he named 9 orders of angels in 3 groups: the highest hierarchy being next to God, Seraphim (Isaiah 6:2), Cherubim (Genesis 3:24, Ezekiel 10:1-22), and Thrones (Colossians 1:16); the middle hierarchy involved in government, Dominations (Colossians 1:16), Virtues (1 Peter 3:22), and Powers (Colossians 1:16); and the third hierarchy involved in work, Principalities (Colossians 1:16), Archangels (1 Thessalonians 4:16), and Angels. 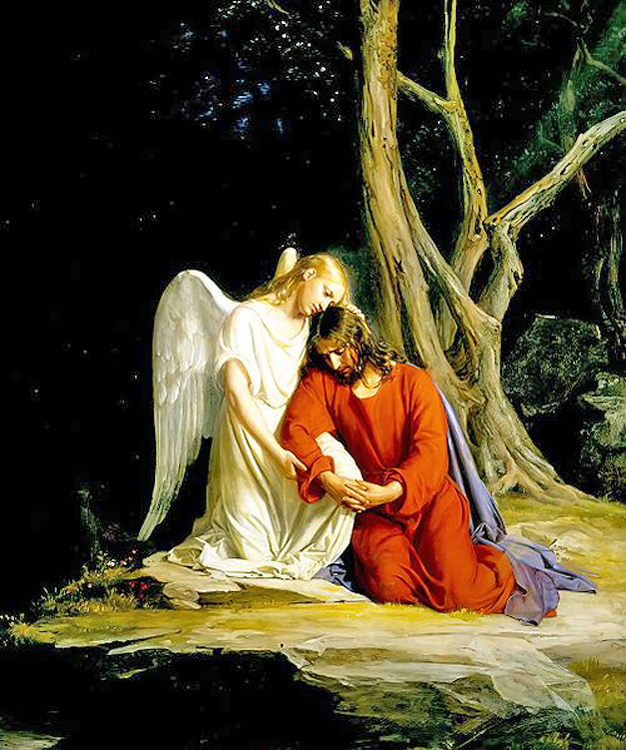 Here are a few of the more noted Scriptural passages on Angels. 20 "The man gave his wife the name “Eve,” because she was the mother of all the living. 21 The Lord God made for the man and his wife garments of skins, with which he clothed them. 22 Then the Lord God said: See! The man has become like one of us, knowing good and evil! Now, what if he also reaches out his hand to take fruit from the tree of life, and eats of it and lives forever? "And Jacob went out from Beersheba, and went toward Haran. And he lighted upon a certain place, and tarried there all night, because the sun was set. And he took of the stones of that place, and put them for his pillows, and lay down in that place to sleep. 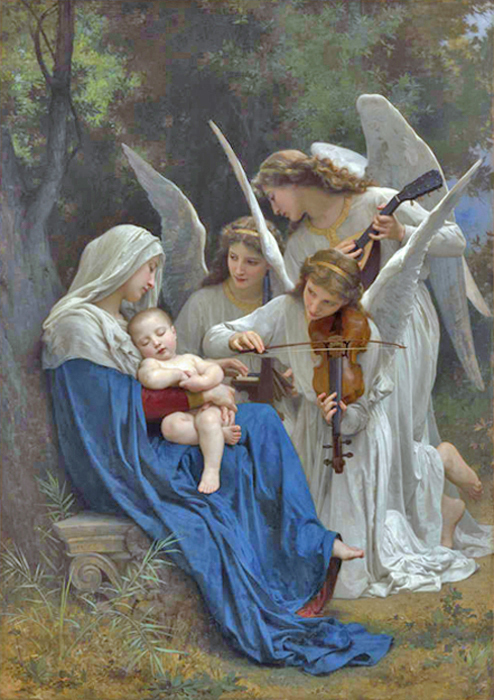 "Behold, I send an angel before you, to guard you on the way and to bring you to the place which I have prepared. Give heed to him and hearken to his voice, do not rebel against him, for he will not pardon your transgression; for my name is in him. "For God commands the angels to guard you in all your ways. "Then, at break of day, the king arose and went in haste to the den of lions. "O Daniel, servant of the living God, has your God, whom you serve continually, been able to deliver you from the lions?" "Now the birth of Jesus Christ took place in this way. and her husband Joseph, being a just man and unwilling to put her to shame, resolved to send her away. and they were filled with fear. you will find a babe wrapped in swaddling cloths and lying in a manger." He was in such agony and he prayed so fervently that his sweat became like drops of blood falling on the ground. Jesus said to her, “Mary!” She turned and said to him in Hebrew, “Rabbouni!” (which means Teacher). Jesus said to her, “Do not hold on to me, because I have not yet ascended to the Father. and he struck Peter on the side and woke him, saying, "Get up quickly." And the chains fell off his hands. And the angel said to him, "Dress yourself and put on your sandals." And he did so. And he said to him, "Wrap your mantle around you and follow me." When they had passed the first and the second guard, they came to the iron gate leading into the city. "When the Lamb opened the seventh seal, there was silence in heaven for about half an hour. "Then war broke out in heaven; Michael and his angels battled against the dragon. but they did not prevail and there was no longer any place for them in heaven.